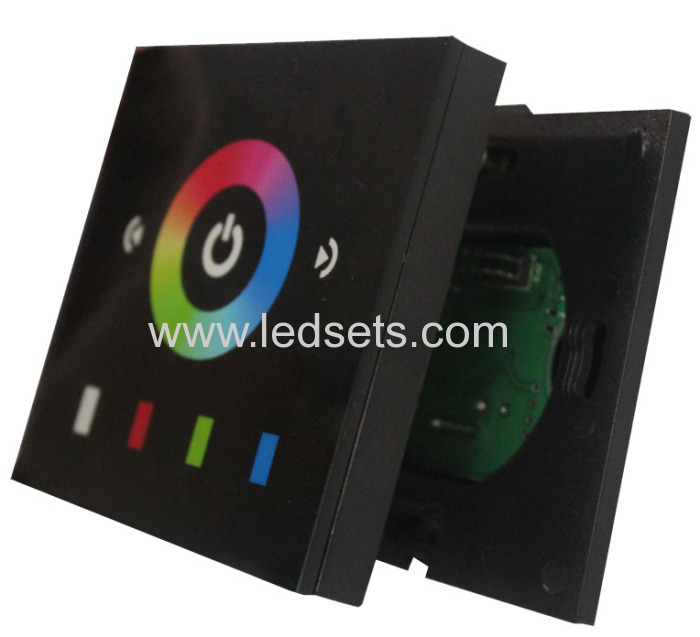 EU standard LED touch controller 12V 24V for 12V 24V RGB LED lights with size of L80 Χ W80 Χ H41.8 mm, glass panel design and high precision capacitance touch control chip, can show you any single color as you like it to be with the touching chromatic circle or the 4 single color buttons. All single color can be dimming. 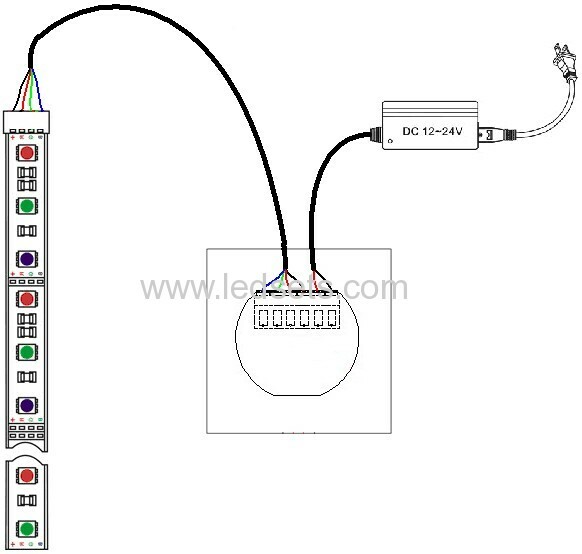 Wiith the 4 single color buttons, static white, static red, static green and static blue, you can mix the color as you like to get other single color, like red, green, blue, yellow, purple, blue, cyan, white. 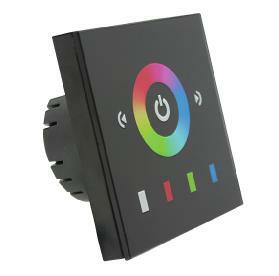 The two buttons at two sides of the touch circel, are brightness up and down, by 25 levels. They are wall mounted and suitable for the applications of flexible RGB LED light strips, RGB LED panel lights etc.